Barley Plus is a highly-digestible, extruded barley and linseed feed for horses and ponies with added limestone flour and salt. It is a natural and non-heating feed and is therefore ideal for horses and ponies with increased energy requirements for growth or condition. It suits those needing to improve or maintain condition and is especially useful in building up ‘poor-doers’. Or to find a stockist click on the Find a Stockist button below. The extrusion process cooks the ingredients rapidly, breaking down complex starches and proteins, making the nutrients more available and the feed easier to digest. The cooking of the starches enables them to be digested and absorbed more easily in the small intestine of the horse and decreases the risk of starch overload in the hind gut. Linseed is a rich source of amino acids and essential fatty acids including Omega-3. These improve skin condition and aid a glossy coat. Added limestone flour provides extra calcium for strong bones and healthy growth. Salt aids palatability and provides important electrolytes, sodium and chloride. 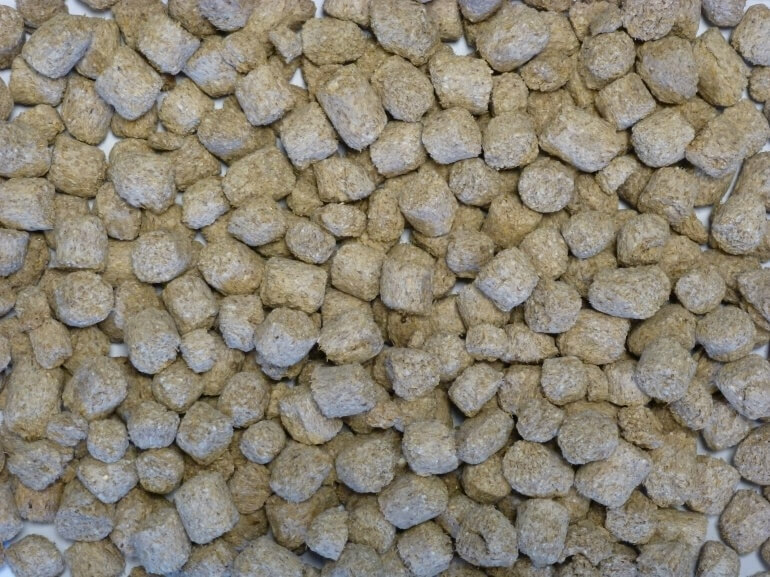 The expanded nature of the nuggets means that they take longer to eat than pelleted feed, encouraging chewing and the production of saliva which again benefits digestion and reduces the risk of digestive upsets. Also there is very little dust or fines so feed wastage is minimised. Alternatively, feed as a warm mash (allow to cool slightly before feeding). A warm mash is ideal for older horses or those who have difficulty chewing. Feed as a complementary feed alongside good quality forage or fibre feeds.